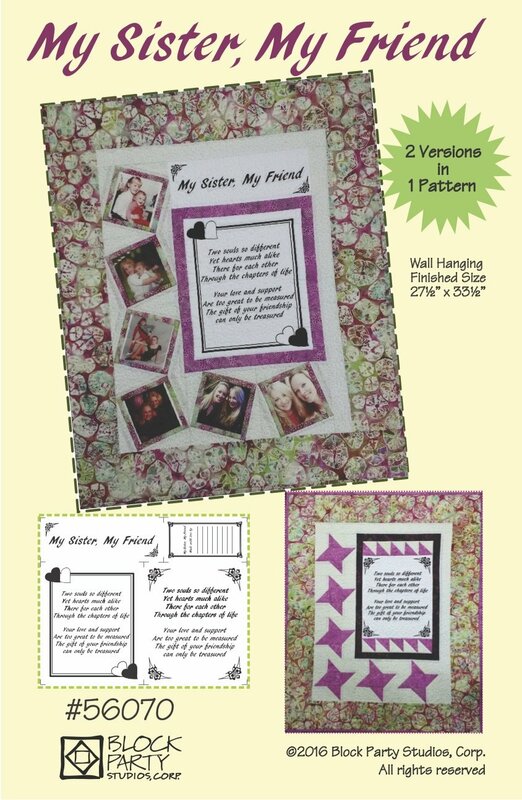 Celebrate being sisters with this wall-hanging quilt pattern. It is meant to go with our "My Sister, My Friend" hand-printed panel on Natural or White fabric. Finished size is 27 1/2" x 33 1/2". This pattern comes with 2 options - 1 with photos and one without.